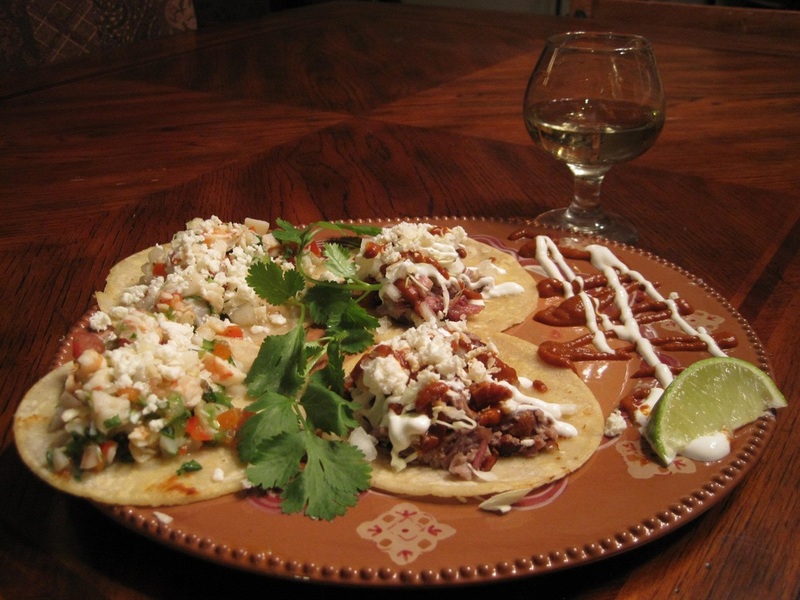 Tapas y Tequilas will cook up some great rustic cuisine, help you choose excellent tequilas, and create freshly made tequila cocktails in order to make your next private event the one that is talked about for years to come! Whether you have 8 guests or 100, Tapas y Tequilas can create a custom food and drink menu just for you! Tapas y Tequilas offers 3 course tapas pairings, sit down dinner or buffet options. With all menu options, Tequila Specialist Khrys Maxwell will guide your guest through a sensory taste experience and will also provide personalized and individualized tequila tastings, recommendations and enrichment for the remainder of your event. Contact us to customize your own private pairing event! "Mar de Cortez Taco" - Grilled Canadian scallops and shrimp mixed with fresh herbs and garden produce, sprinkled with Cotija chese and topped with a slice of ripe avocado served on a warm artisanal corn tortilla. "Pato con Mole" - Herb roasted duck glazed with agave nectar, drizzled with traditional Oaxacan mole and Mexican crema, and garnished with queso fresco, cabbage and onion.